After The Layoff and The Return, I was only working two days a week, and stopped attending our daily Scrum meetings. I figured that my time was better spent scrambling to catch up on the backlog of documentation work waiting for me after my six-week absence. Now that I’ve added a third day a week, it seems like time to return to the team room and start attending our daily stand-up meetings again. Which brings us to today’s topic, Chickens and Pigs. Chicken: Let’s start a restaurant! Pig: What would we call it? Pig: No thanks. I’d be committed, but you’d only be involved! Your Chicken/Pig label determines whether or not you get to talk in the daily stand up meetings or are restricted to an observer role. A Pig is someone who is accountable for the outcome of the project. They are the worker team members. Mike Cohn refers to these people as “having their bacon on the line.” Developers are almost always Pigs. Testers are almost always Pigs. 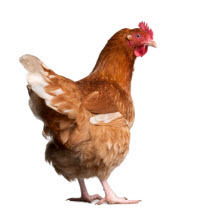 A Chicken is someone who has something to gain by the Pigs performing, but in the end, really do not contribute day-to-day to “work.” They may not be part of the team, but may attend the daily stand-ups to monitor the team’s progress. Upper management are almost always Chickens. Support and Marketing are Chickens. During our first couple of Sprints my company had multiple Scrum teams. Since we were new to Agile, my manager and I discussed whether or not I should attend all the Scrum meetings. One team was focused on stories that didn’t affect the user documentation, so for the first Sprint I only attended one Scrum meeting. In later Sprints I was a Pig at one daily stand-up and a Chicken at another. Technical writers may belong to multiple Scrum teams at one time, and may choose not to attend all of the daily stand-up meetings. If you’re not attending the Scrum on a daily basis, you’re probably a Chicken. Technical writers may be working on many simultaneous projects (especially lone writers, who may also be developing marketing and/or training materials). Technical writers may be documenting several different products, while the Scrum team is focused on a single product or portion of a product. If you’re just attending the Scrum to keep track of a team’s progress while you’re working on something else, you’re a Chicken. But Chickens are often management, and TW are seldom managers and writers. 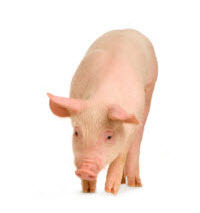 Pig roles are considered core team members, people who do the work of the Scrum. Pigs are responsible for the Sprint deliverables. For most team members, that means developers and testers. I firmly believe that technical writers are Pigs. TWs have customer deliverables. Software companies ship two things to customers, software and user documentation in the form of manuals and online Help. Customers need documentation to understand how to use the software. The technical writer’s deliverables are just as important as the other Pigs’ deliverables. Number three is the Power Question for Agile technical writers. It lets you stand up in the team room and say, for the rest of the team to hear, “I’m blocked because Dave Developer hasn’t answered my questions yet.” Or “I’m blocked because I’m still waiting for Sam SubjectMatterExpert to review my draft.” If Agile is about empowering workers to be more productive, then technical writers must be considered Pigs. Despite the fact that I’m back in the Scrum, my current projects are not yet synched with the Sprint. 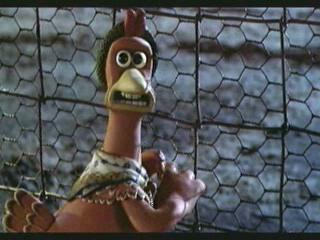 So while I’m still playing catch up, I’m just an observer, and I’ve cast myself as a Chicken. But I’m a Chicken who is scheming how to escape the chicken yard and get back into the pig pen.